MONOVISC can help patients who have osteoarthritis in their knee joints, whether it was caused by aging, injury, overuse, or excess strain on the joint from obesity. Doctors like you usually treat patients with MONOVISC injections after other treatment types have become less effective over time, such as exercise, physiotherapy, and painkiller drugs. You can use MONOVISC injections to replace or to supplement these other osteoarthritis treatments to help your patients feel less pain and discomfort from their condition. MONOVISC is designed to work with one injection instead of multiple weekly injections. This means that after you give your patient their first MONOVISC® injection, they should experience relief from their osteoarthritis symptoms for up to six months. 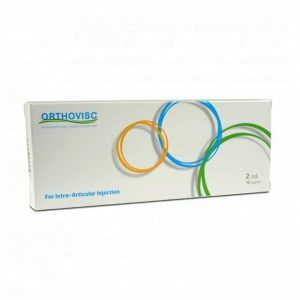 At this time, you can administer another MONOVISC® injection to your patient’s joint if desired to give them another six months of relief. While some of your patients may get immediate relief from their MONOVISC® injection, in others it can take a little longer to work. Osteoarthritis is a chronic condition that becomes progressively worse as a patient ages. 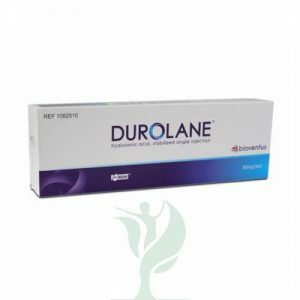 It involves the breakdown of cartilage in the joints, which allows the bones in the joint to rub together painfully as the patient moves, along with decreasing quality of the synovial fluid which normally lubricates the joints. This loss of cartilage and synovial fluid in the knee or other joint leads to inflammation, pain, and other osteoarthritis symptoms. 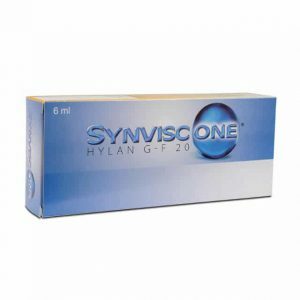 When you inject MONOVISC® directly into the knee joint, the hyaluronan replaces the synovial fluid and provides an effective lubricant and cushion for the joint. After a MONOVISC® injection, the bones in the joint are prevented from rubbing against each other to cause inflammation and pain. This means that after a MONOVISC® injection, your patients can walk with less pain and discomfort. The most common MONOVISC® side effects are joint swelling, effusion, and pain, as well as injection site pain. 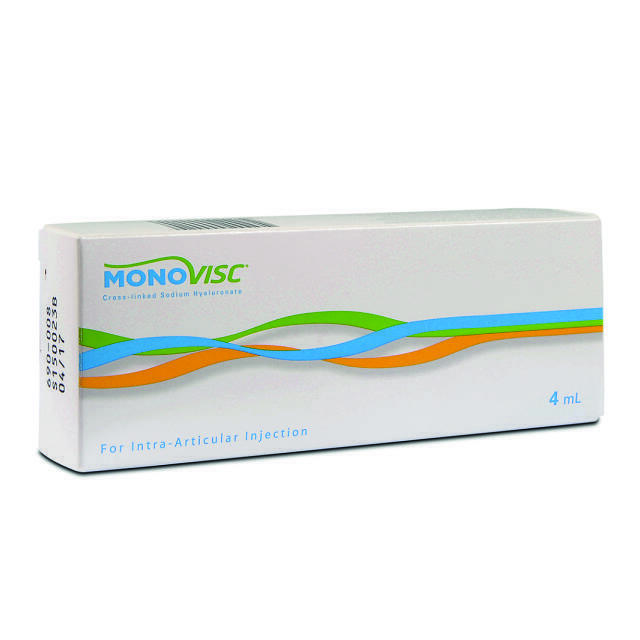 MONOVISC® is contraindicated in patients with a known hypersensitivity to hyaluronan or gram-positive bacterial proteins, patients with known systemic bleeding disorders, and patients with an infection or skin disease near the injection site. 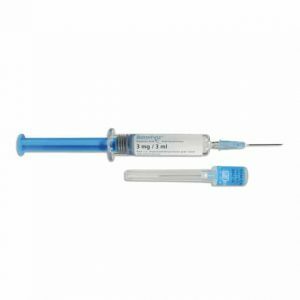 Since the hyaluronan in MONOVISC® comes from bacterial fermentation and not from rooster combs, it is safe to use on your patients who are allergic to birds, eggs, and feathers without causing an allergic reaction.